Wide applications: the braces and screws can be applied in many different places to enforce flat angle joints, such as chests, screens, windows and beds. NOTE: Please do not use this product in the humid environment, or somewhere with salty vapor. Only the dry indoor situation can keep it rustless. Constructed from great quality Stainless Steel,ensuring quality and longevity. Easy to install,sturdy and durable. 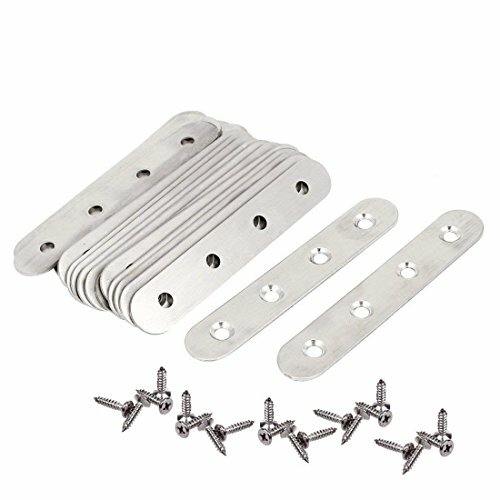 These braces and screws can be used to connect furniture joint corner board,which are important fastener to make furniture stay firm.